Asian stocks rose and the dollar rebounded from its lowest in more than two years as hurricane Irma’s force waned and the United Nations prepared to vote on tougher North Korean sanctions. Japan’s Topix index was headed for its biggest gain in more than three months as a weaker yen gave a boost to exporters. Equities also advanced in Seoul and Hong Kong, and Treasuries fell after North Korea refrained from an expected missile test at the weekend. The dollar rose against major peers as Irma, while devastating, didn’t reach the feared Category 5 storm that some had anticipated and looks to have spared Miami. The offshore yuan declined after China’s central bank was said to have removed a reserve requirement on the trading of foreign-exchange forwards. Risk appetite also returned to the markets as the chances of Federal Reserve interest rate increases this year receded after the U.S. was struck by the first back-to-back major storms since 1964. New York Fed President William Dudley said in an interview with CNBC that hurricanes could affect the timing of rate hikes. Still, the shadow of North Korea remains. Pyongyang warned of retaliation if the United Nations Security Council approves harsher sanctions in response to the North’s nuclear test. The UN will vote Monday on fresh sanctions, saying that Kim Jong Un’s nuclear program poses the most serious threat since World War II. Pyongyang “is closely following the moves of the U.S. with vigilance,” its state-run Korean Central News Agency said on Monday, citing a statement by the Ministry of Foreign Affairs. With Fed speakers now in a blackout period before next week’s policy meeting, the focus this week be on assessing the impact of natural disasters on U.S. growth. Investors will also parse data due on retail spending in the American economy and the U.S. consumer price index as inflation remains stubbornly low. U.S. CPI is projected to have risen in August at a faster pace. The Topix index advanced 1.4 percent as of 10:55 a.m. Tokyo time, on course for its steepest advance since early June. 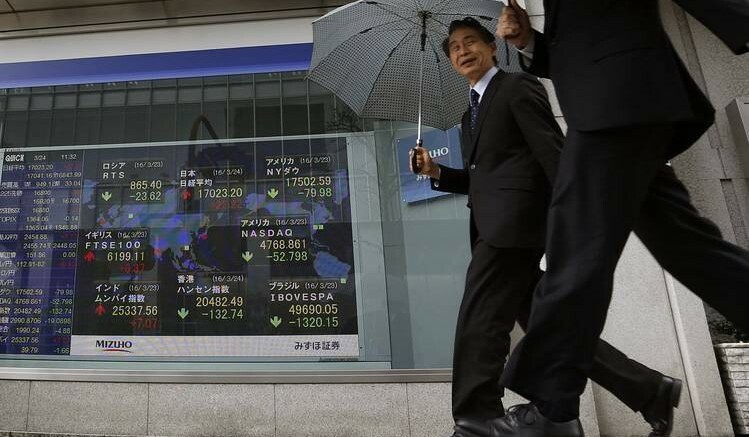 South Korea’s Kospi index was up 1 percent and the S&P/ASX 200 Index in Sydney rose 0.7 percent. Hong Kong’s Hang Seng Index was up 1 percent, while gauges in China were also higher. Futures on the S&P 500 Index climbed 0.5 percent. The underlying gauge fell 0.2 percent on Friday. The MSCI Asia-Pacific Index jumped 0.6 percent to hit the highest since December 2007. The yen fell 0.5 percent to 108.42 per dollar. The euro lost 0.2 percent to $1.2010. The Aussie was at 80.40 U.S. cents, down 0.2 percent. The Korean won was little changed at 1,128.95 per dollar. The Bloomberg Dollar Spot Index rose more than 0.2 percent. It lost 1.5 percent last week, its worst week since May. The yield on 10-year Treasury notes climbed almost four basis points to 2.09 percent. Australian 10-year bond yields rose about four basis points to 2.61 percent. 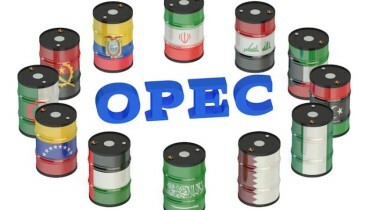 West Texas Intermediate crude added 0.8 percent to $47.84 a barrel in early trading after losing 3.3 percent on Friday. Gold declined 0.7 percent to $1,336.89. Be the first to comment on "Asia Stocks Rise, Dollar Rebounds as Irma Weakens"